Aaron Blabey a t un acteur succ s pendant 15 ans, en plus d' tre artiste, avant de devenir auteur-illustrateur de livres pour enfants. Depuis, ses livres jeunesse font fureur partout dans le monde! Il est le cr ateur du fameux personnage Carlos le carlin, des romans illustr s Les m chants et de l'album illustr tincelant Thelma la licorne. Aaron habite Sydney, en Australie. 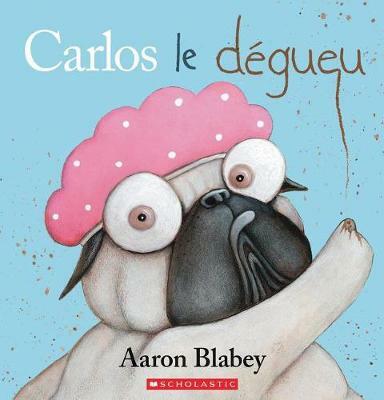 Aaron Blabey was a successful actor for 15 years, as well as an artist, before becoming an author and illustrator of children's books. Now his engaging and funny stories are being sold worldwide! His is the creator of the famous Carlos le carlin, the illustrated novels series Les m chants and the dazzling picture book Thelma la licorne. Aaron lives in Sydney, Australia.